Yowler, much like John McGowan, is roughly pre-teen age in Dragonworld: The Legend Continues. What does that mean for a dragon? 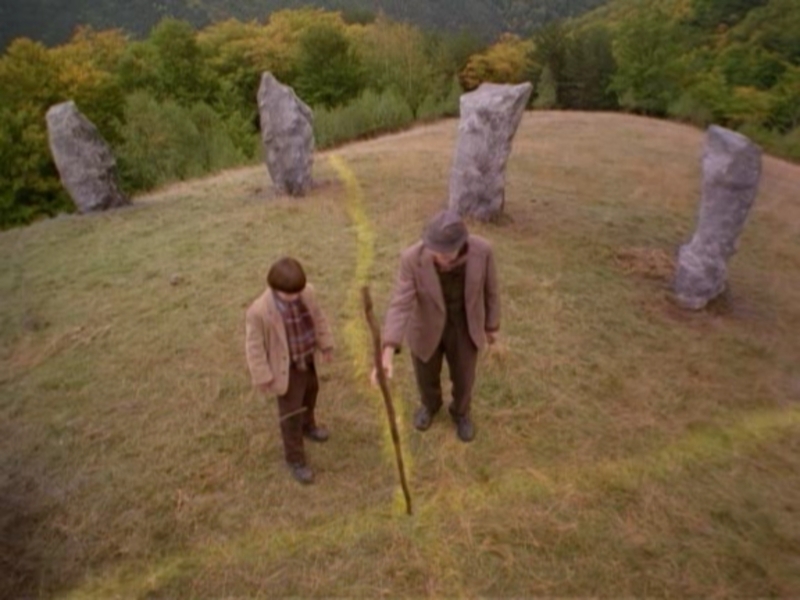 Well, in this case it means that he is a fair bit smaller, and that he’s realized on-screen through the time-honored method of a man in a suit, instead of the multiple FX techniques that were used in the original. This is where the movie will probably fall apart for most people, because it really doesn’t look too hot. It’s like a cross between one of those goofy T-Rex costumes that are popular these days and the lake monster’s head from the TV Movie Return to Mayberry, resulting in something that looks like a reject from the Dinosaurs TV show. In terms of creating a believable illusion, it fails in spectacular fashion, but if you’re into B-Movies it’s actually a lot more enjoyable that it first appears. It’s not that it magically becomes effective over the course of the film, it’s more that the other elements, namely the story, pick up the slack. Dragonworld: The Legend Continues is also a much darker film than Dragonworld. Instead of the villain simply wanting to capture Yowler and make loads of money from him, the Dark Knight MacClain wants to slaughter him and use his blood to open a portal to… do something even more evil. OK, so what he’s going to do with the blood was a little fuzzy, but in any case, it’s some dark, nefarious stuff that the heroes need to prevent at all costs. The knight is also quite the imposing, scary figure, so when he threatens or imprisons someone, it has weight to it. It’s a kids’ movie so there are usually definite lines that are not crossed, but this is a Full Moon kids’ movie, and they don’t have the same respect for these unspoken rules of decency. They also addressed one of my logic issues with the original, which was very nice of them. The original film has a looming tax issue that is seemingly left unattended for at least 15 years, but certain things in this film explain it in a way that’s natural and complete. Not to leave that basic formula behind, though, “the man” also threatens the McGowan clan in Dragonworld: The Legend Continues. This time it’s a woman, Mrs. Churchill (Judith Paris), and she’s from Child Protective Services making sure that John is going to school and all that. I should also note that this sub-plot really blossomed into something I never expected it to be, so it’s actually a lot more than a simple redo of the tax problem in the first film. 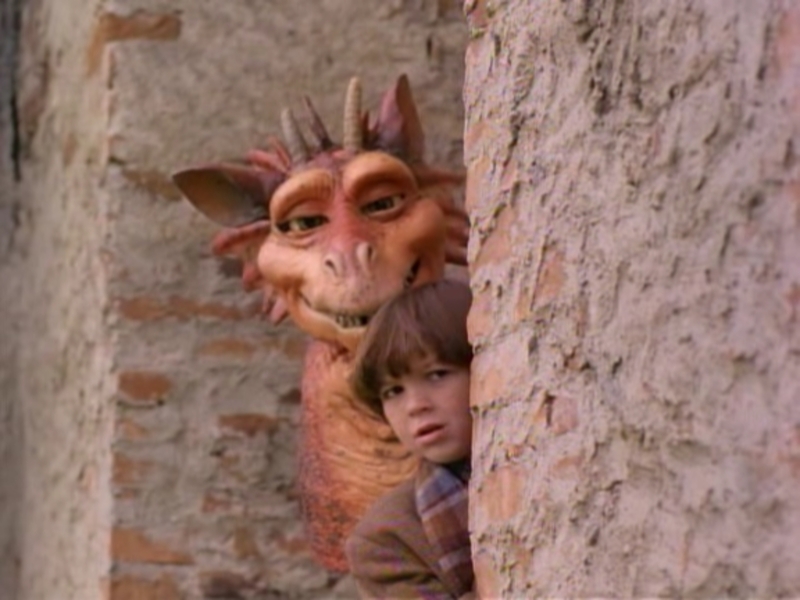 I much preferred the story of Dragonworld: The Legend Continues, while Dragonworld is clearly the better made film. There’s a part of me that wishes the films were reversed, with the sequel receiving the bigger budget (and potentially making for a better film overall), but then I think about that man-in-a-suit Yowler and I second guess myself. Would I really wish him out of existence so easily? After everything we’ve been through? No, I would not. I’m happy it worked out as it did, allowing the world to be graced with the unique charm of a film dragon played by a man in a suit. You may not agree, but I enjoyed this one quite a bit. Next time I get around to a Full Moon movie I’ll be watching the related-to-Full-Moon film: The Brotherhood 3: Young Demons! See ya then!